I started being interested in sewing when I was about 12 years old. It was because I was a 5'6" bean pole that had to shop in the adult section because of my height, but I didn't have the right curves to hold clothing up so all my clothes were horribly baggy on me and long sleeves were never long enough for my stick arms. I adjusted some of my clothing by hand sewing, and lets just say hand sewing is not my calling in life. It can be so incredibly beautiful, but I'm just too impatient for it. I had told my mother I had wanted a sewing machine and one day, when my oldest was about 4 months old, she showed up with a brand new sewing machine. Of course she told me it was because she MIGHT get into sewing one day and I could "borrow" said machine until that time. Sneaky mum. Sneaky. At that time I only knew one person that sewed, and she was too far away to give me any lessons, so I started on the easiest things I knew: Blankets. For years I focused on blankets and rarely adventured into clothing, then I found PDF patterns one day and that was that! I've now switched and I make so much clothing! Can you believe that in the last 4 years I've only made 2 quilt tops??? Although I really do love making clothing, I miss making quilts and since my kids have all outgrown their toddler size quilts, it's about time I make them some new ones! One of the biggest reasons I have procrastinated with quilts is because I despise the cutting process. I could never get my pieces cut straight, which is probably why I loved wonky quilts so much! I never had to be precise for those. Quite literally, the Cricut Maker* has completely changed that though! It's made it so easy to just lay the fabric on to the mat and well, that's really all I have to do because my children love loading the mats into the Cricut machine and pressing the "go" button! 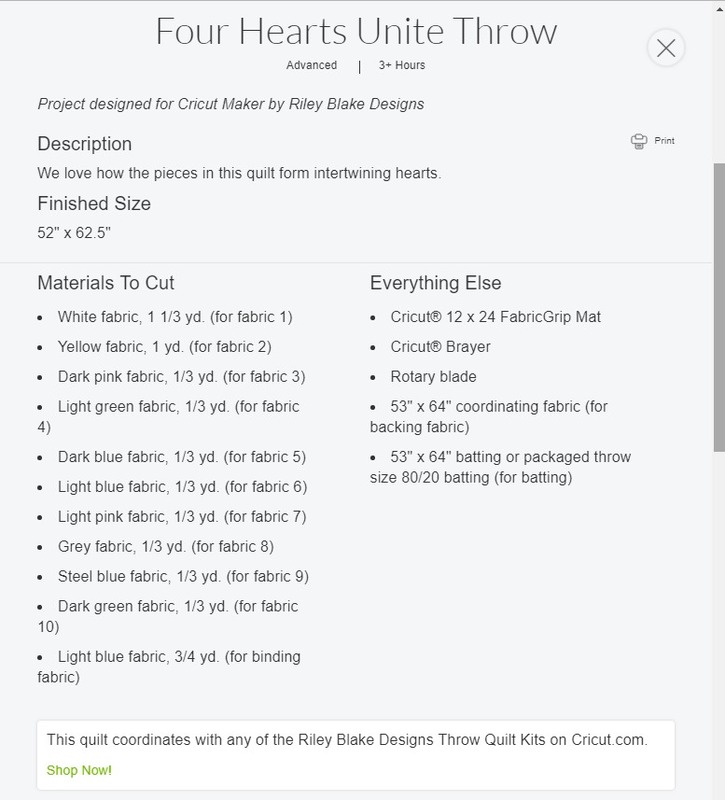 I'm so excited about Riley Blake Designs Quilt Kits that are available for the Cricut Maker*! 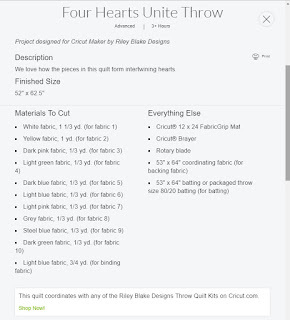 Riley Blakes Designs is one of my absolute favorite fabric companies (the owner is amazing and so sweet!) They don't only offer adorable fabrics, but they also offer notions and sewing tools. 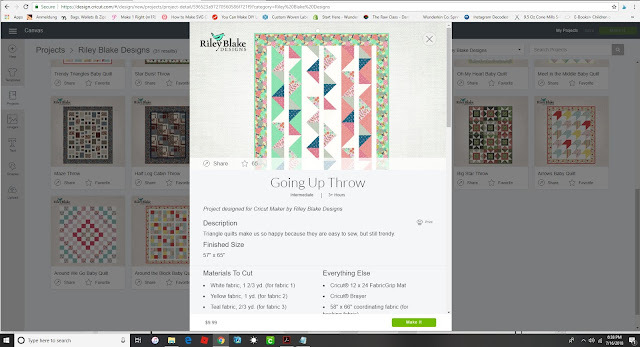 They have so many free quilt and sewing patterns on their website too! Each one comes with the fabric and most pieces are already cut to size to place on your mats. 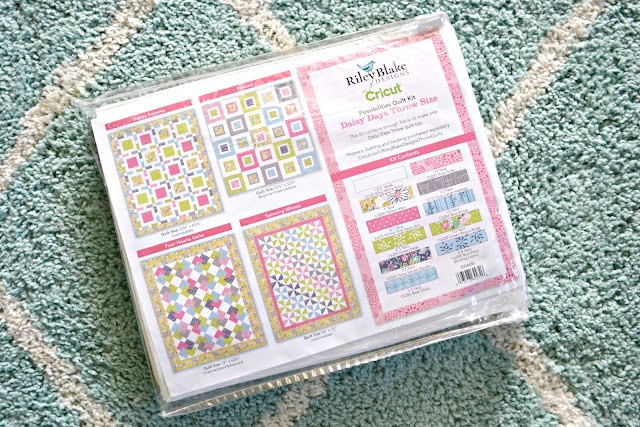 You can also use any fabric kit with any quilt/throw pattern available in Design Space. 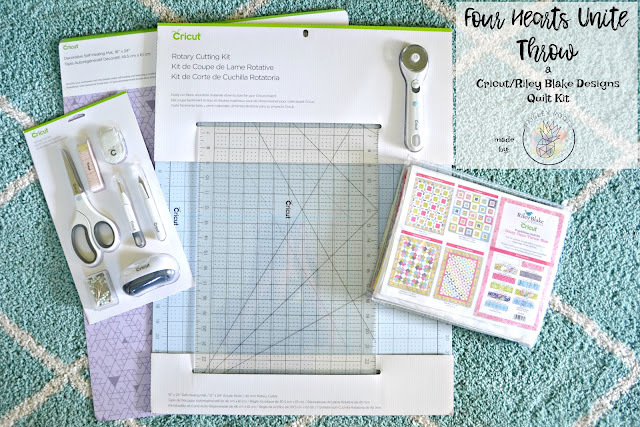 If you're new to Cricut, I'll show you how easy it is to find these patterns! 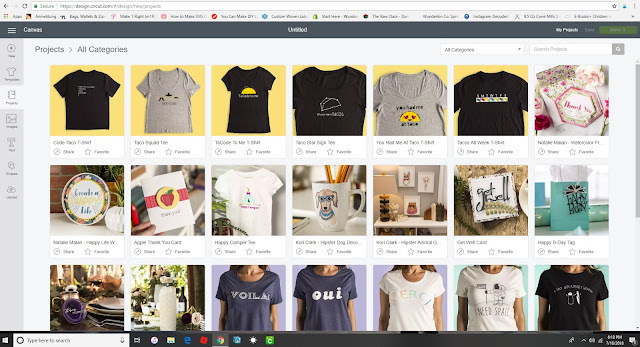 First go to Cricut.com and hit "shop". 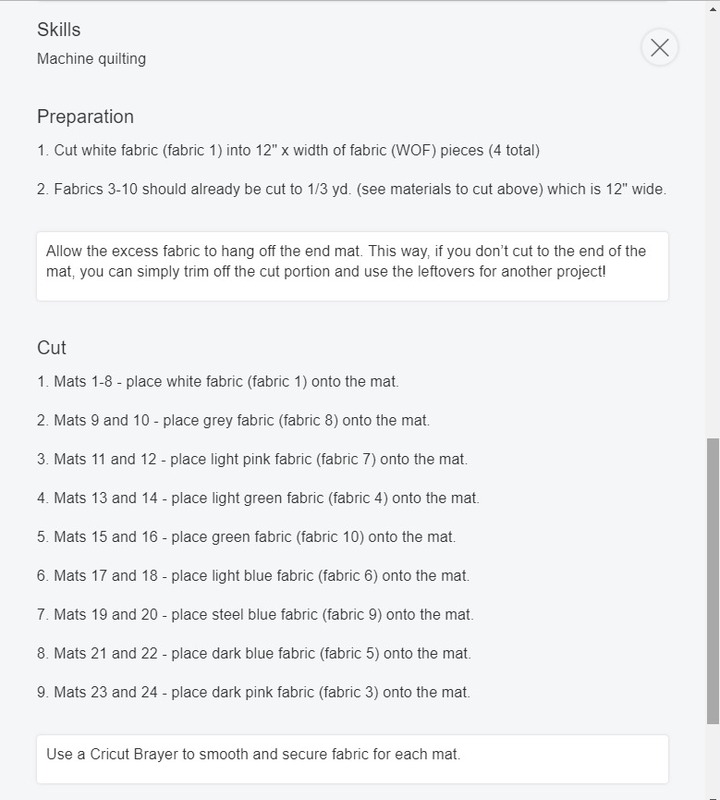 At the top go to "Cutting Materials" and then under "Fabric" click on "Quilt Kit". 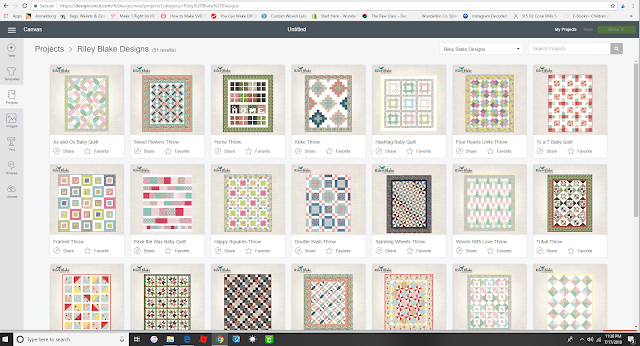 All the quilt kits are there to buy! NOTE: These kits are just the fabric. 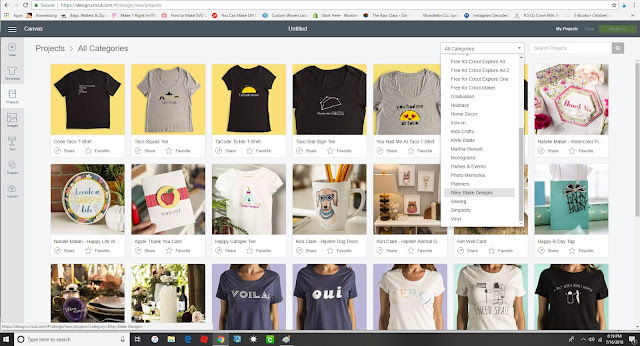 You will still need to buy the pattern in Design Space. 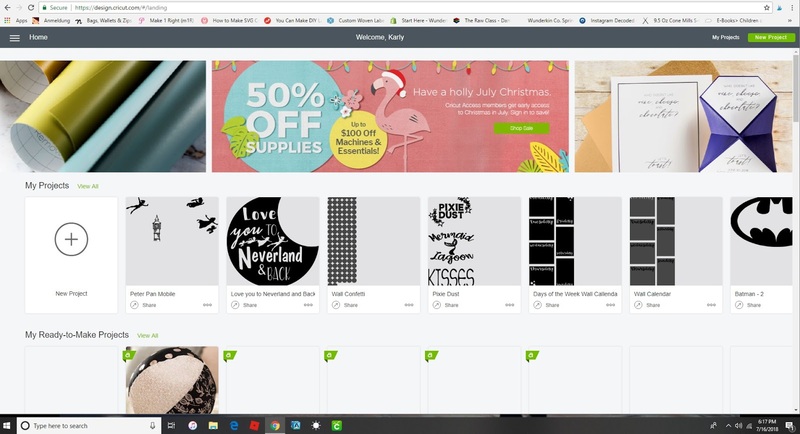 So after you purchase your fabric, make a Cricut Design account. Design Space is free to use with your own fonts and images, but if you are wanting more, Cricut does have 3 different subscription plans you can choose from. 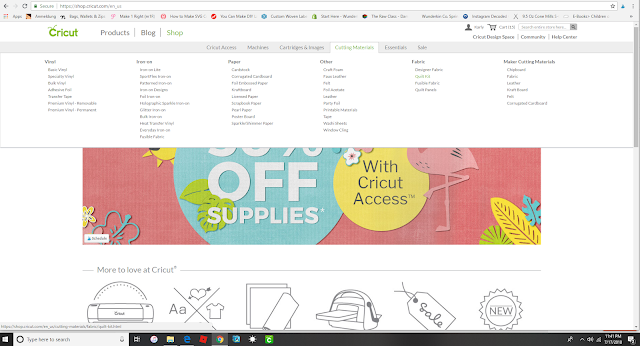 You can also buy images and fonts like you could cartridges, but I feel the Cricut Access is an amazing deal! Especially for how much I use it! 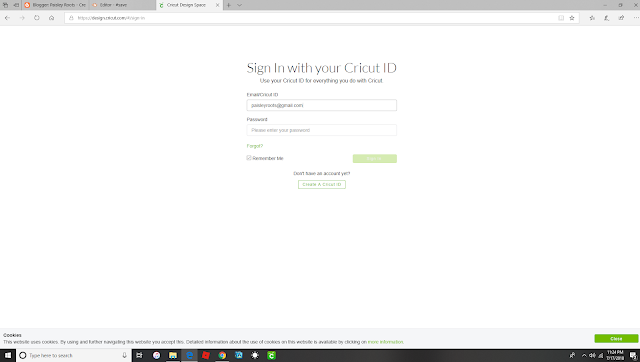 Once you've created an account and sign in, it will bring you to your account home. You will be able to see some of your projects you've put together and also a sample of Ready-to-make projects that are offered in Design Space. 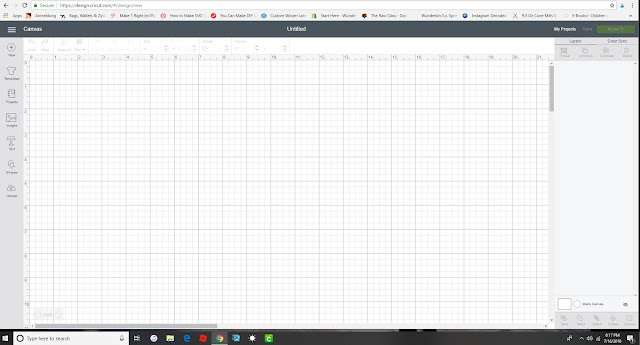 You will want to hit "New Project" either right under, "My projects" or the green button in the top right corner. Once you hit that you will be brought to a brand new design space page. You will want to hit "Projects" the third item from the top on the left hand side. 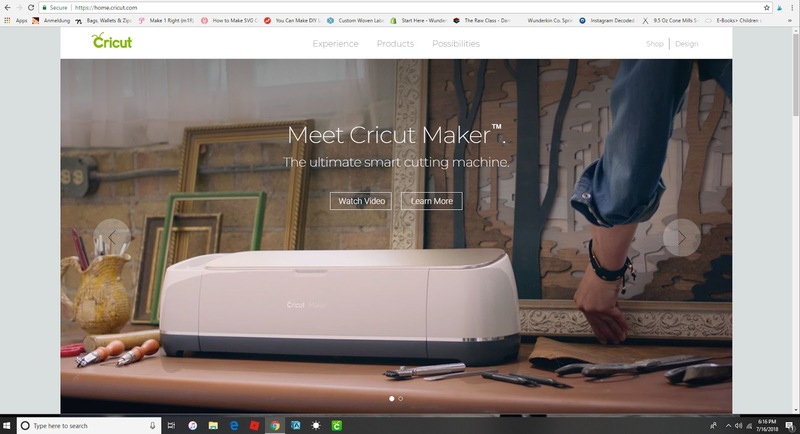 This will bring you to Cricut Projects which you can make at a touch of a button. 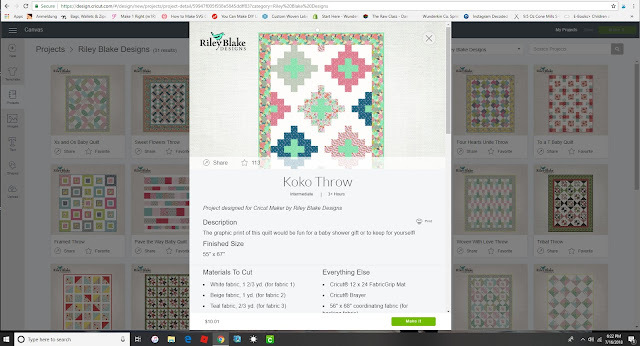 To find the quilt kits, hit "All Categories" on the right side and go down the bar to where it has "Riley Blake Designs". And viola! This will bring up all the quilt kits available in Cricut Design Space. 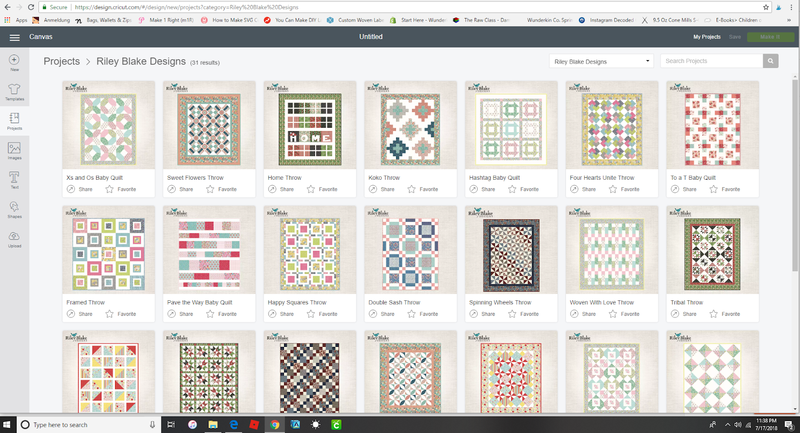 You can click on each one and it will tell you all the info about the quilt. 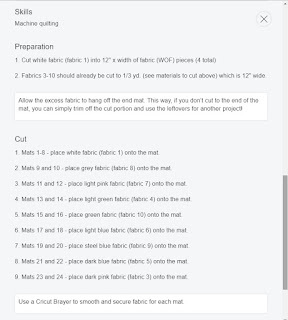 How much fabric you will need, the skills required, size, about how much time it takes to make, etc. At the bottom right of this will be a green, "Make it" button. Once you hit that, it will bring you to the cut page and you will have to hit "purchase" in the bottom right and pay for the pattern before you can use your machine to cut it. Since this is a Riley Blake pattern, it is not part of any Design Space Access. 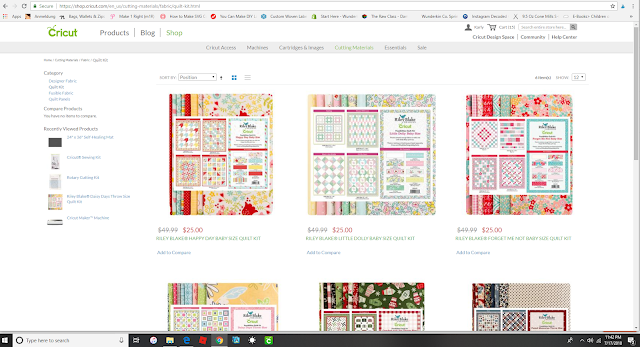 I don't know about you, but I ended up just having Paisley choose which quilt and kit she wanted because I couldn't make a decision! This Going Up Throw was a top contender. I loved the colors in this kit too and think the design is so much fun! The Koko Throw was also a close one. This one just calls to me, but it wasn't calling to Paisley, so in the end it didn't win out. 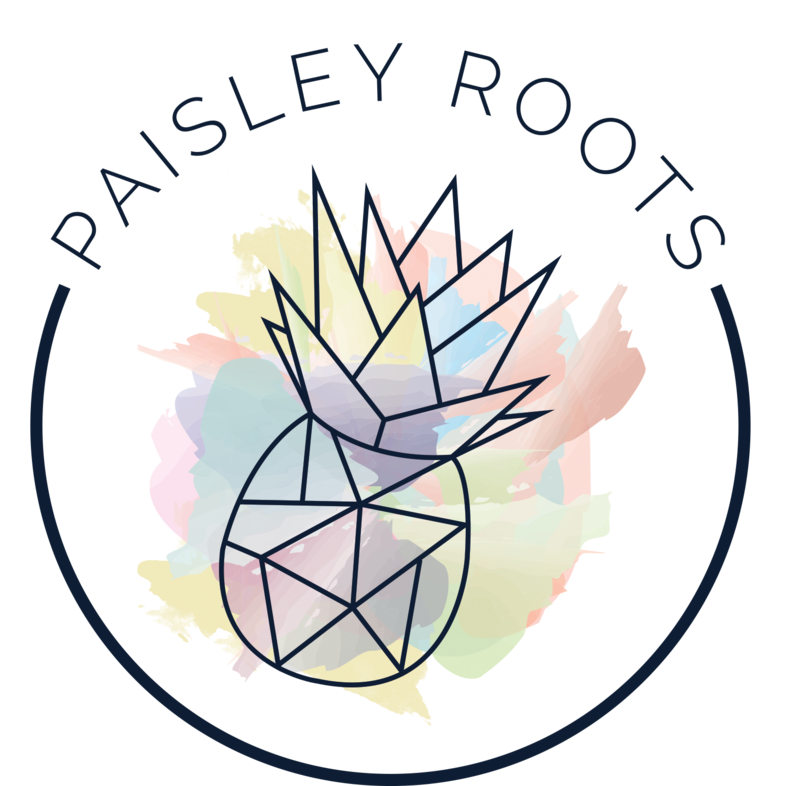 Paisley ended up choosing the Four Hearts Unite Throw in the Daisy Days Throw Quilt Kit*. I have sewn up a few quilt squares of this pattern before, so I feel I have a bit of a heads up on it. It's labeled advanced and will take a bit longer to piece together than most of the other quilt patterns. I'm totally up for the challenge though! What pattern and kit would you choose? You are so awesome Karly! !